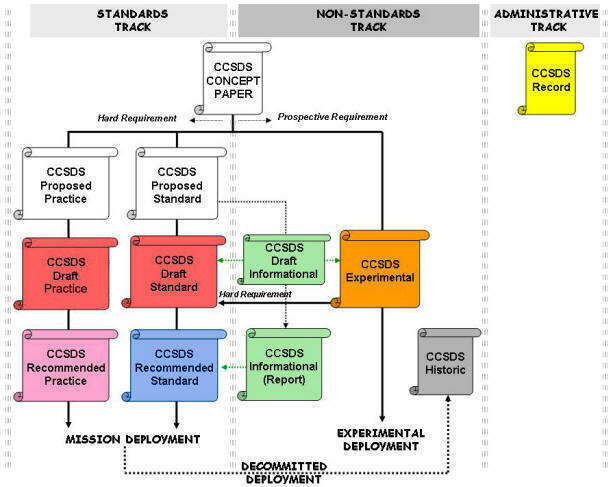 An interactive general taxonomy of CCSDS documentation is shown below. Click on the "Track" name or "Documentation" type for more information on this process. A more detailed representation of this process can be found in the Organization and Processes for the Consultative Committee for Space Data Systems. Yellow Book. Issue 4. April 2014.